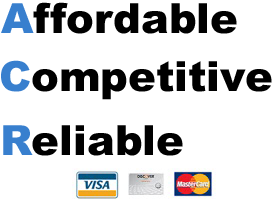 Ken’s Sewer Service accepts all major Credit Cards, Check’s & Cash. Do you know who to call for your clogged drain in Golden Valley MN? Are your drain pipes gasping for air or draining improperly? Call your local Golden Valley drain and sewer cleaning experts Ken’s Sewer Service. Having years of experience our company understands your problem over the phone and gives you a quote before coming out. All you need to do is E-mail us or call Ken’s Sewer Service at (952) 929-4146. Most of our competitors charge trip fees that makes their quotes look cheaper but that’s really never the case. Always ask upfront if their our additional fees above the quote. 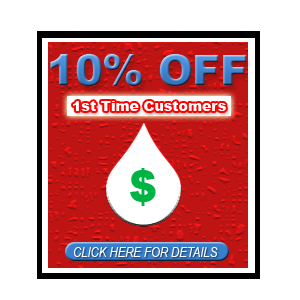 Our company specializes in plumbing and drain cleaning. Ken’s Sewer Service is known for removing tree roots from clients sewer systems. Is your main sewer line clogged or draining really slow? Call your Golden Valley MN drain and sewer cleaning company who can service your issue. No matter if your issue is a plumber emergency or on maintenance were here for you when you need us. Call Ken’s Sewer Service today before the issue worsens. Our technicians will get your water flowing again, all you need to do is call Ken’s Sewer Service. Never resort to pouring any types of chemicals down your drains. For one their harmful for you and especially your drains. Don’t make plumbing issue worse off then they already are just call Ken’s Sewer Service your local Golden Valley, MN drain and sewer cleaning company. Does your business periodically backing-up during the business lunch or dinner rush? Is it a pain to have drain cleaning companies come in and service your drains during the rush times? Stop having to worry about drains clogging up at the worst times possible. Set yourself up on our maintenance plans with Ken’s Sewer Service your local Golden Valley, MN drain and sewer cleaning company. Let’s make sure your drains are serviced on maintenance instead of paying higher bill during a back-up. We never visualize a drain backing up but it’s inevitable that your drains will plug up and at the worst possible times. Whenever we think drains are OK, there not. Would you like to stop worrying about your residential sewer line flooding your basement? Set up maintenance plans with your local Golden Valley Minnesota drain and sewer cleaning experts Ken’s Sewer Service today. Put all your drain cleaning worry’s behind and leave them to us. Here at Ken’s Sewer Service will provide top notch drain cleaning at affordable rates. Our company handles everything from clogged main sewer lines to drippy faucets. We unclog floor drains, laundry tubs, sinks, tubs, shower, mop drains, kitchen sink, and all other drains. Plumbing is another area we service including installing all plumbing fixtures some of which include: Kitchen/Bath Faucets and drains, Sinks, Showers, Toilets, Urinals, Vanities, Laundry Tubs, and repairing all water lines weather their new or old. Doesn’t matter if were dealing with cast iron and galvanized pipes or copper and PEX drain lines. We handle all plumbing and drain cleaning. If your living in Golden Valley, MN and are in need of a drain cleaner call Ken’s Sewer Service today. If your experiencing drain clogs and you need an expert call Ken’s Sewer Service today. Don’t wait until tomorrow cause the problems always gets worse off. Ken’s Sewer Service has so many answers and years of experience. Do you need help cleaning your clogged garbage disposal in Golden Valley, MN? Call the professionals at Ken’s Sewer Service! Do you have a clogged main sewer line with tree roots in Golden Valley, MN? Call your local drain and sewer cleaning company Ken’s Sewer Service! Do you have a toilet clogged in Golden Valley, MN? Call the team at Ken’s Sewer Service to rescue the day! I get the question from time to time as to are pedestal sinks better then others. As a plumber right away I say “NO”. I tell them pedestal sinks are hard to clean and hard to work with. We all agree pedestal sinks looks great but are just not useful. If your installing one in your master bathroom or kids bathroom there’s absolutely no reason to do so. The only place to ever have a pedestal sink “for show” is in your front hallway bathroom. As a plumber other bathroom sinks are more reasonable and more functional. Cabinet space is a wonderful plus to any bathroom to hide all your clutter from your company. Unclogging a regular sinks is easy cause your dealing with more space. Deep clogs in pedestal sinks will require pulling of the unit and then having to re-install it after the clog is fixed. Typically, pedestals will cost more money to buy and maintain. If the sleek look is what your after then it’s the perfect sink for your needs. Ken’s Sewer Service installs, unclogs, and repairs all pedestal sinks. Do you own real estate and live out of town? If you own real estate and live out of town you have to be on top of your game. Property is worth money and you don’t want disasters to happen if they can be prevented. Make sure to have a run down list that you check off yearly for all your rental properties. By neglecting your main sewer line, drippy faucets, furnace and more you can 100% be prepared for larger bills in the future. Let’s try and keep your cost as low as possible. Call Ken’s Sewer Service to help with all your plumbing drain and sewer cleaning needs. Being in business since 1974 we know what needs to get done yearly. We treat out of town owners with respect and honestly. Check out yelp, angie’s list and our testimonial page. I’ve always wondered why a bakers dozen is thirteen instead of twelve. In the article below you can find out the interesting reasoning’s why. I hope you all learn something new. With living in such a fast pass life people have somehow forgotten how to wash their hands. To the naked eye public restrooms may look clean but don’t let your eye fool you. Public restrooms may be tidy but are NOT clean. This invention of the toepener is one the smartest most needed tools to exit a bathroom. Believe it or not but most people do not wash their hands after using the bathroom. Take a second and think about how dirty that door handle is. Call Ken’s Sewer Service for all plumbing drain & sewer cleaning issues. Friend Us on Facebook for lots of great information weekly!